14 December is the anniversary of the revenge of the 47 Ronin (the Chushingura). Death is natural, a part of life. 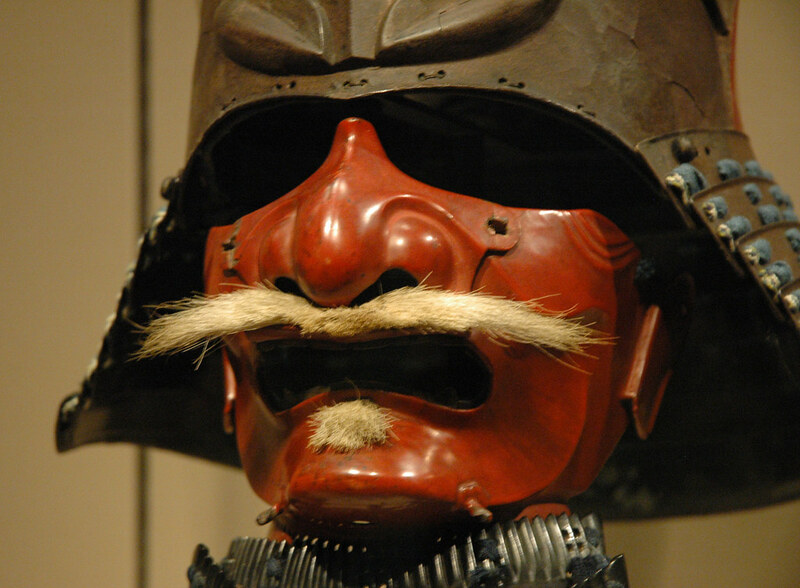 The samurai prepared to face death with equanimity. Thinking about death I looked back on the deaths that have affected so many of us. Some great aikido teachers died in 2010. Nobuyoshi Tamura Sensei died in July 2010. Seiichi Sugano Sensei died in August 2010. Kanshu Sunadomari Sensei died in November 2010. Robert Aoyagi Sensei also died in November 2010. I trained with all of them. All these teachers were great budoka and they were gentle and kind. In my memory they are all smiling. Check out the ‘Readers also downloaded' link at the bottom of the page too for other books related to Japan or to military strategy. On that page I noticed The Religion of the Samurai by Kaiten Nukariya and the Art of War by Sunzi (Sun Tsu). All books on Project Gutenberg are no longer covered by copyright and are in the public domain and can be downloaded free. 12 Responses to "The way of the samurai is found in death"
By chance I just read about a new movie about the 47 Ronin: Saigo no Chushingura/The Last Ronin. http://search.japantimes.co.jp/cgi-b...0101217a2.html. Even today the story resonates in Japan. Right, Graham! This is a very interesting subject. The most important thing was their service to their lord. And a romantic gesture - attacking hastily and perhaps dying without success - might be beautiful but it would be meaningless. So normal concepts of name and honour (and marriage!) were unimportant compared to that ultimate (and successful!) sacrifice for honour. Yes they waited one year and half to kill Kira and then they submitted to the justice and were forced to commit seppuku according to spanish Wikipedia.. Thanks Carina. Yes, thetokyootaku's post about Sengakuji is very interesting. Sunadomari Sensei had his own style - the Manseikan in Kyushu - so not many people who trained with the Aikikai teachers will know about him. He showed me the fourth way of doing tenkan I described in the tenkan thread. Nice of you remembering all this kind teachers Niall, they sure are looking down at you when you are teaching and are smiling because of your learning from them and making sure you are following their path beeing just that kind of teacher to your students as they were for you. When I were in Tokio I visited Sengaku and felt that is was a sacred place.